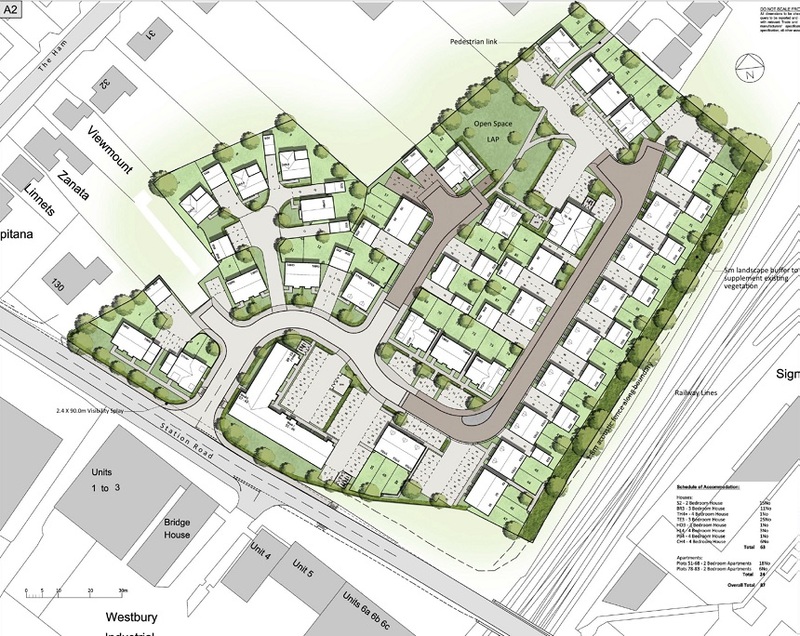 We have submitted a planning application for residential development on land at Station Road, Westbury. Historically, this site was used as a coal yard and covers an area of approximately 1.96 hectares, now derelict land with bramble covered bunds on the north, east and west boundaries. 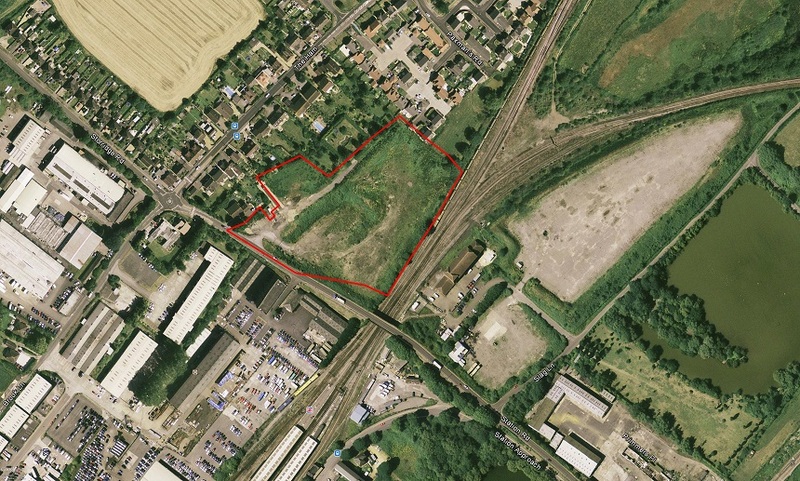 Its frontage is to Station Road which links directly to Westbury town centre located 1.4km to the south-east and Westbury railway station is within close proximity to the south of the site. The eastern boundary is formed by the railway line. The northern boundary adjoins the gardens to the residential estate of Paxmans Road. The western boundary of the site is irregularly shaped and adjoins the generous rear gardens of a number of detached residential properties in The Ham. The site is allocated in the adopted Wiltshire Core Strategy (Local Plan) for housing. The site was subject to a previous planning permission for 102 homes which was promoted by Persimmon Homes.